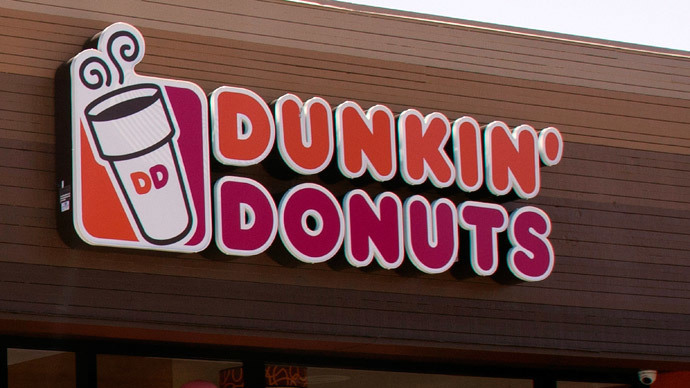 Dunkin’ Donuts is dropping titanium dioxide from its list of ingredients after an environmentalist group urged the chain’s parent company to reconsider the use of the potentially toxic coloring agent in certain recipes. The parent company – Dunkin’ Brands – said in a statement last week that it will no longer rely on the whitening agent for the powdered sugar used on popular selling donuts. Titanium dioxide is often used to make products – such as powdered sugar and toothpaste – appear whiter. Health advocates say its use poses potential problems, however, and have blamed the compound on medical issues including organ damage. As a result of the decision, advocacy group As You Sow has withdrawn a proposal filed earlier with the company, compelling shareholders to reconsider its use of nanomaterials – including titanium dioxide – Dunkin’ Brands said in a statement. "This is a groundbreaking decision,"responded Danielle Fugere, president and chief counsel of the group. "Dunkin' has demonstrated strong industry leadership by removing this potentially harmful ingredient from its donuts." As You Sow had cautioned Dunkin’ that titanium dioxide is not a “nanoparticle” as defined by the US Food and Drug Administration (FDA), and that “insufficient safety information exists regarding these manufactured particles, especially for use in foods.” The group filed a request with Dunkin’ in May 2014, asking for an investigation of its nanomaterials usage by November 2015, and said the initiative had been backed by 18.7 percent of the chain’s shareholders. According to the group, preliminary studies have shown that nanomaterials pose DNA and chromosomal damage, organ damage, inflammation, brain damage and genital malformations, among other dangers. “Engineered nanomaterials are beginning to enter the food supply, despite not being proven safe for consumption. Dunkin’ has made a decision to protect its customers and its bottom line by avoiding use of an unproven and potentially harmful ingredient,” said Fugere. “The ingredient used in our powdered donuts does not meet the definition of ‘nanomaterial’ as outlined under FDA guidance,” a Dunkin’ Donuts spokesperson explained to The Huffington Post. According to The Huffington Post, a representative for Dunkin’ added that the chain’s "powdered donuts will look the same under the new formulation."